Navigator ISS | Superior Seating, Inc. The elegant hourglass of the new Navigator ISS brings a high-end feel to any project. With its beautiful contours, it is the perfect choice for limousines, RVs, or upscale Sprinter conversions. Choose from any of our standard colors, or go for the ultimate in luxurious seating with one of the stunning colors in our Ultraleather offerings. 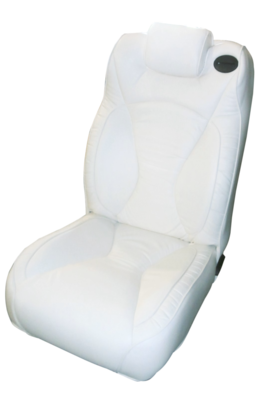 In-seat heating and cooling and/or massage would make this custom seat one you will never want to get out of! For more information or to place an order, call us at 866-389-9011 or email Ryan@superior-seats.com.